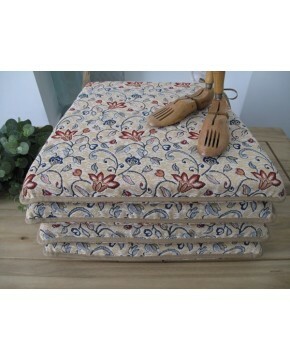 We hope you like our new collection of seat pads, suitable for many kitchen or dining chairs, bistro or bar stools. Hand-made by ourselves here in our UK workshop, these seat pads are thicker than most available online offering superior comfort. Our English Rose design is a beautiful floral design printed canvas which will add style, colour and comfort to any decor. 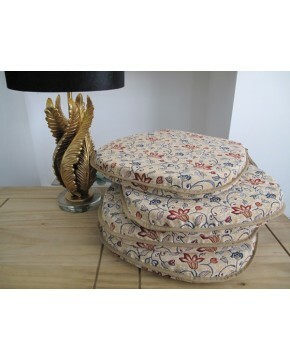 These are also available in a Tapered Square shape seat pad. Although these seat pads can be used outdoors, they are not a waterproof product. Aftercare - Most minor spillages or light staining can be simply wiped away before it dries.